Mailboxes are a common theme this week. 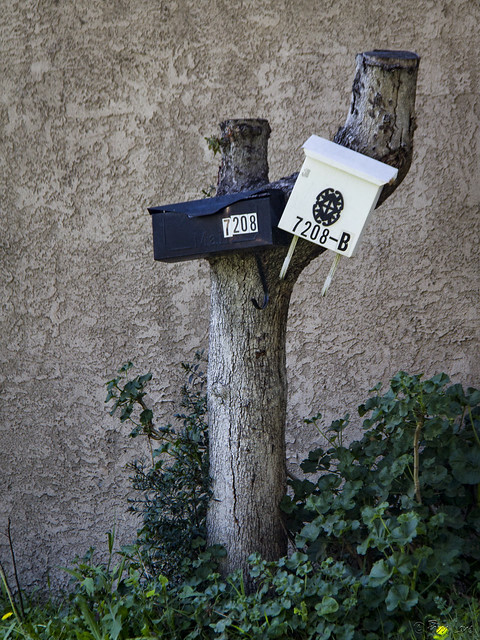 These mailboxes caught my eye because of the unique "pole" that they're attached to—a stump that otherwise might serve no useful purpose. It'll be interesting to stop by again in a few months, though, to see if those small sprouts at the top of the stump have overpowered the mailboxes.